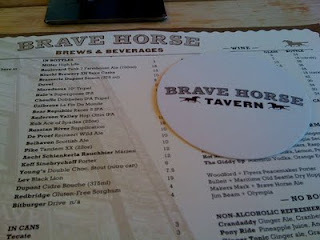 This week my friend and I paid a visit to one of Tom Douglas' new eating establishments, Brave Horse Tavern. This is one of three new eateries in the Terry Building located in the heart of the new Amazon.com campus in South Lake Union. I have heard a lot of good things about this place, so I was excited to try it out. The day I visited was nice and sunny, so we decided to sit at one of the picnic tables outside. I have heard a lot about the hand-made pretzels, so I tried one out as an appetizer. 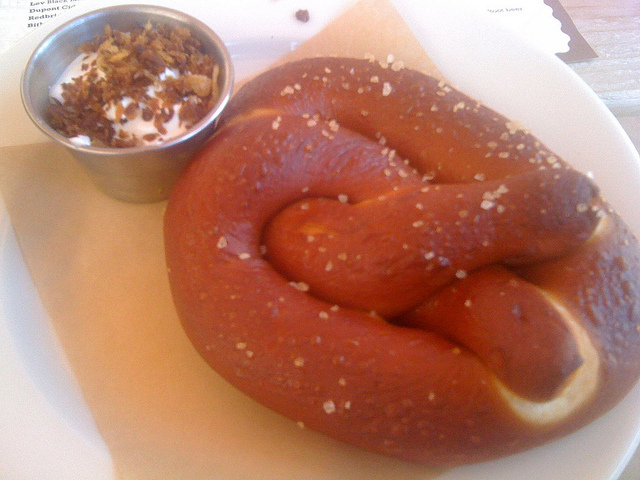 You can choose to have a number of dips with your pretzel. I went with the sour cream and crispy onion dip. This pretzel was delicious! It came to the table nice and warm. It had a perfect amount of sea salt dusted on top. I could have easily had three of these for lunch. 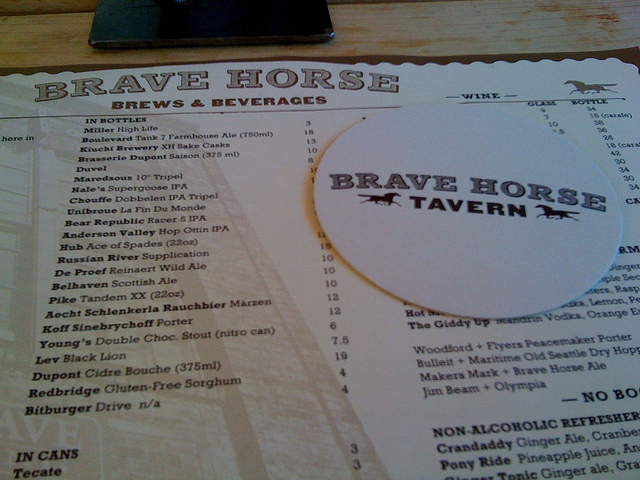 Brave Horse Tavern also has a great selection of beers. After my pretzel appetizer, I ordered the fennel and chili rubbed pork shoulder sandwich. The pork was served on a ciabatta with garlic rapini and green sauce. 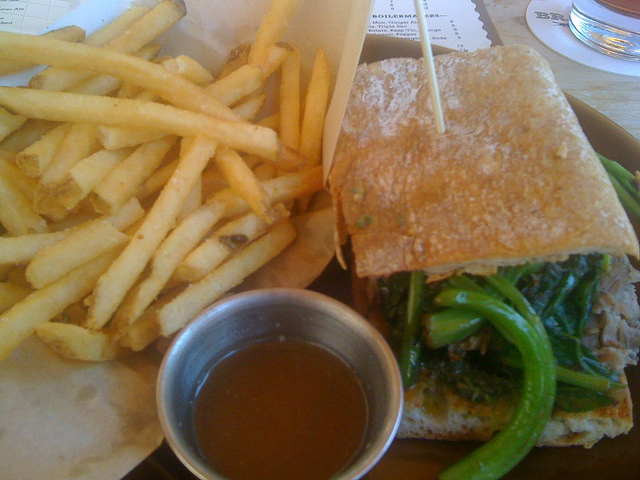 This sandwich was very tasty, although it was quite messy to eat. I didn't add the green sauce to my sandwich, as it would have made my sandwich soggy. Otherwise, it was a good sandwich. I look forward to going back for some more pretzels!